This is the first book I have read by this author so I went into it with no preconceived ideas. I must say this book made my week! I finished it fast because I just couldn’t wait to keep reading. 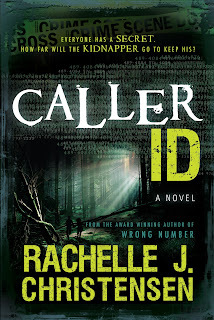 As a reader who can often predict the endings, I loved Caller ID because it left me completely surprised. I also liked a paragraph where there is a shout out to a few other authors. Way to support the team! Over all, this is a great mystery book perfect for a weekend away or a road trip.